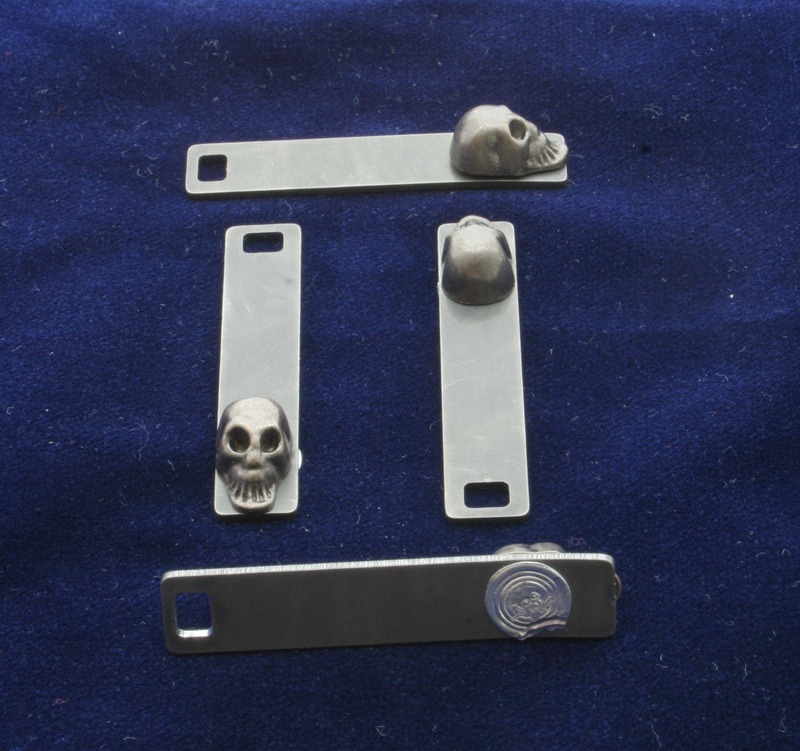 A pack of 4 Stainless Steel Laser Cut zipper pull that can comes with a metal Skull head rivet. 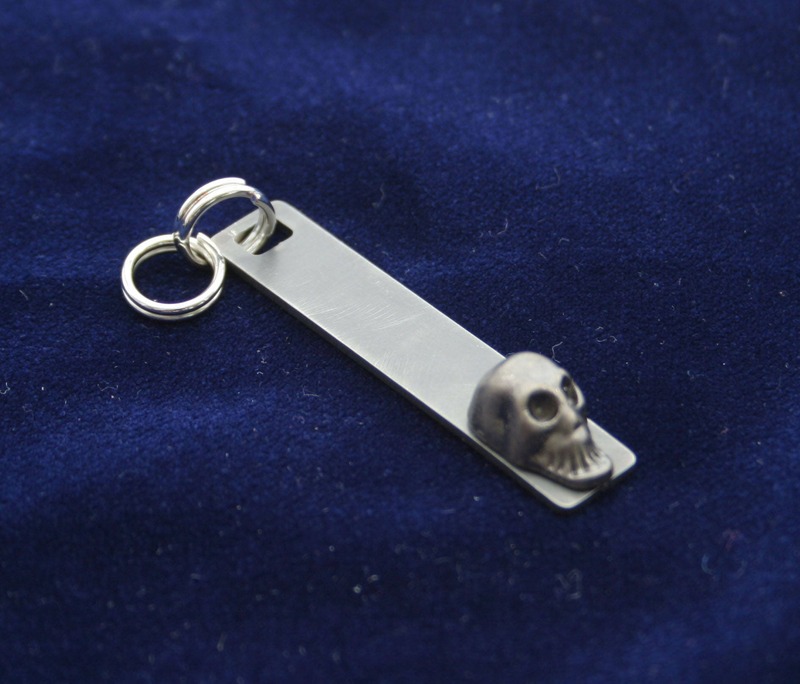 This item is laser cut from T-304 surgical grade, 18 gauge, stainless steel and is tumbled to remove burrs and sharp edges and put a matte gray finish on it. 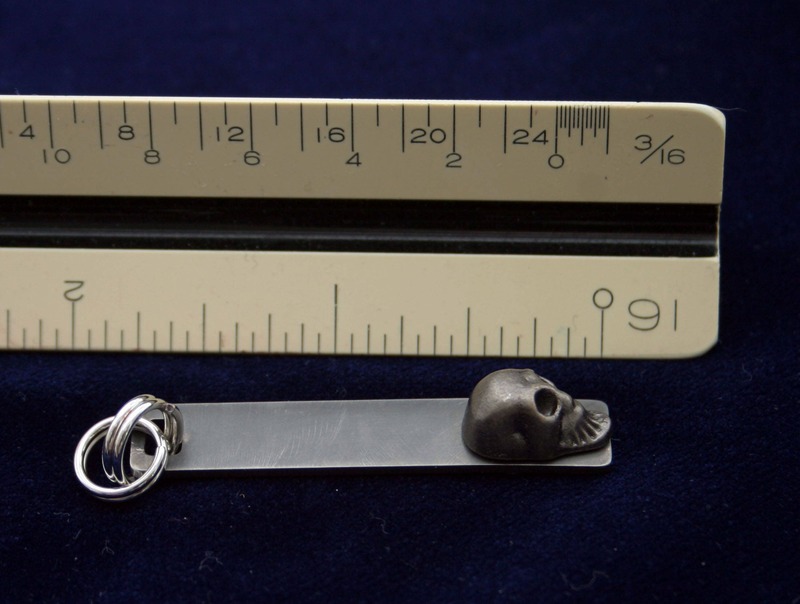 These tags measure 1-3/4 (1.75) inches long by 3/8" wide (.375) and pull will come with two 12" mm split rings for attaching to your zipper slider. 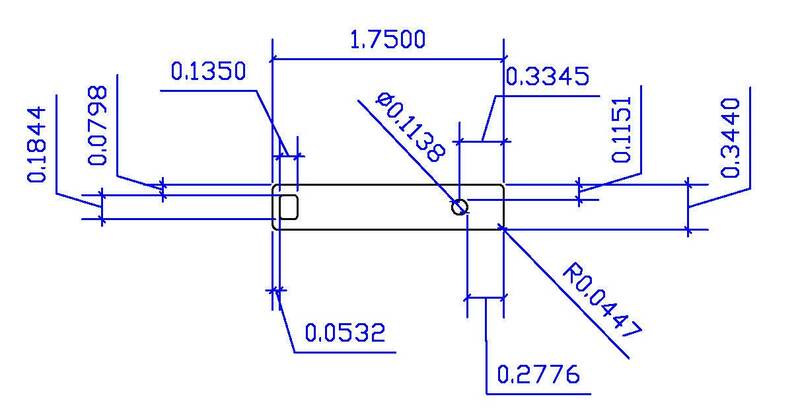 Contact me directly for special pricing on bulk orders.